For the past 3 to 4 years I have spent a lot of my time crafting my manuscript for “The Cat and her Mistress”. One of the hardest things I have found is making sure that my characters are not one dimensional and have depth to them. I’m not talking about shape by the way, I’m talking about what makes my characters them, what their personality traits may be, do they have any character flaws that makes them human? Or an elf or a fairy for that matter. What makes them them? It’s almost like building something out of clay, first, it’s this big clump before you shape it but slowly bit by bit, you start to see the mound of clay take shape and you can see the features begin to appear. It does take a lot of work so that you are not falling into cliche characters that really have no personality and just follow sayings that are commonly used. I want my characters to be unique, yes to have flaws, to have different thought processes and to truly be their own person. I want them to be as real as can be, to make mistakes and to learn from them (or not). I’ve also found the world building an interesting one as well and learnt quite a bit before I decided after I had the basics of the world I was creating that map making was not my forte and that there were many technical aspects that I had not even taken into consideration. 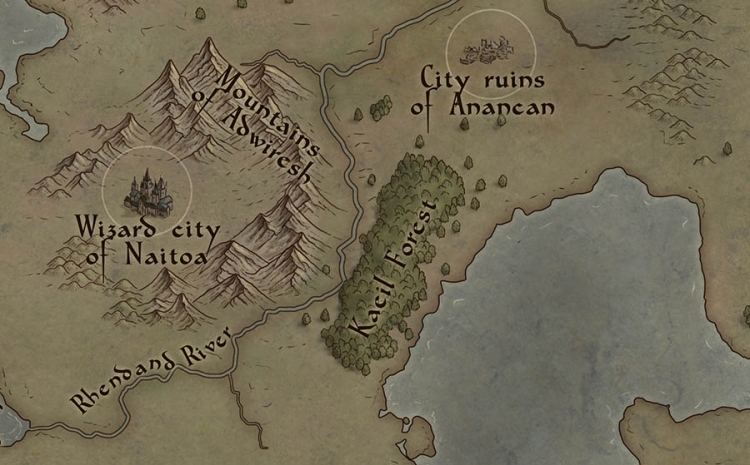 I knew I wanted a map to go with my story but had no idea that rivers, rocks and mountains had to go a certain way to be realistic as the real world so that it is believable. I was thankful that I had a professional that was able to do this for me, you can check their fantastic work at this link here http://www.fantasy-map.net/ and I think for me it was well worth getting in a professional for this and very happy with the outcome.